Toad Hall is a classic late Georgian Farmhouse built in 1855 in a rural area of Lincolnshire. 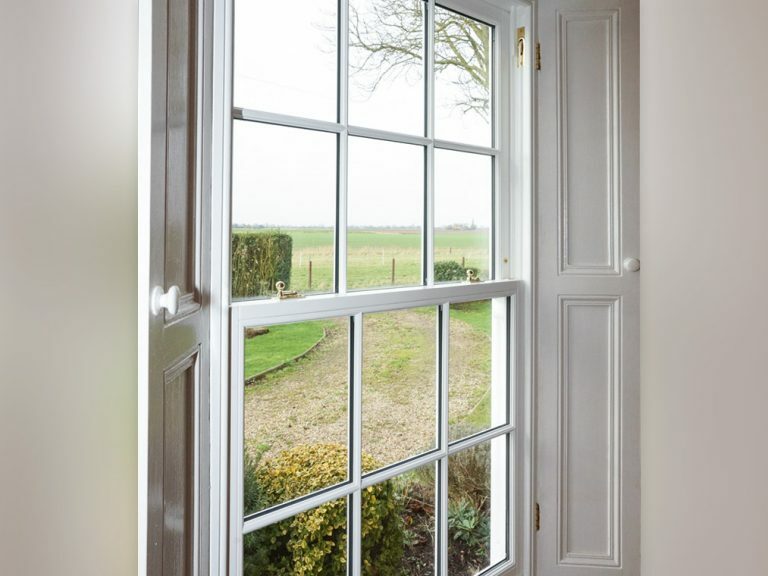 When Mr and Mrs Walker moved in a year ago they decided that the replacement of the original sliding sash windows was a priority due to their poor thermal performance. One challenge however was the retention of the shutters; like the windows they are an original feature of the property. 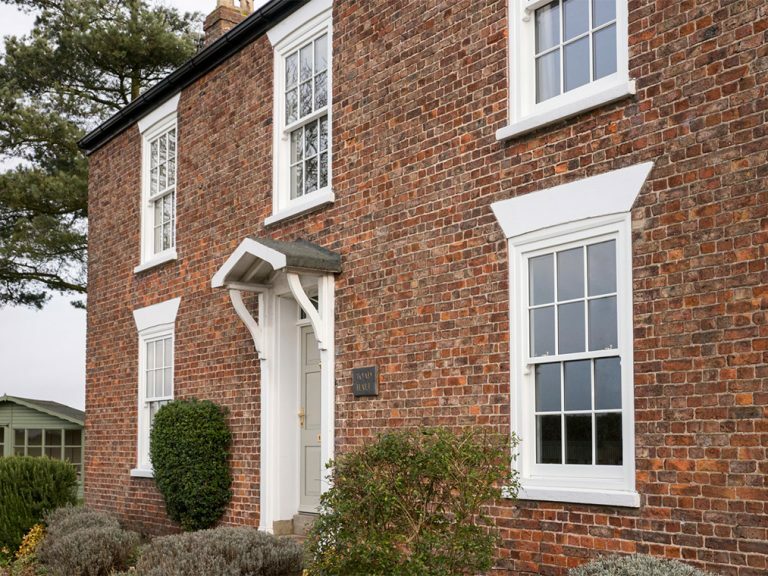 Whilst they knew that they could sympathetically replace the original windows, they wished to retain the internal shutters as they are original features. Looking for a suitable replacement the Walkers visited the George Barnsdale showroom, where the quality of the product quickly won them over. As we offer a localised, personal service through our Approved Partner network we put them in touch with Barrowpier, our Approved Partner for Lincolnshire. 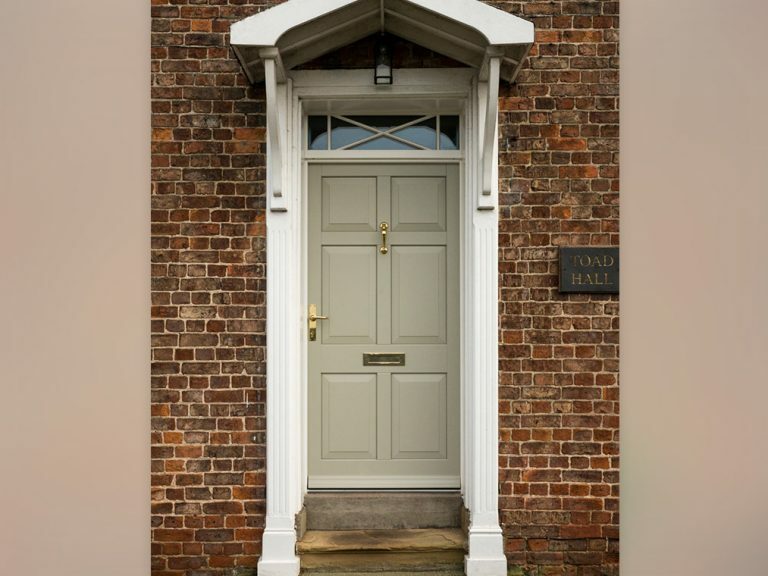 Working with Barrowpier we manufactured a number of traditional sliding sash windows to replicate those previously existing in the property, in addition to a new entrance door, which again closely replicated the original. 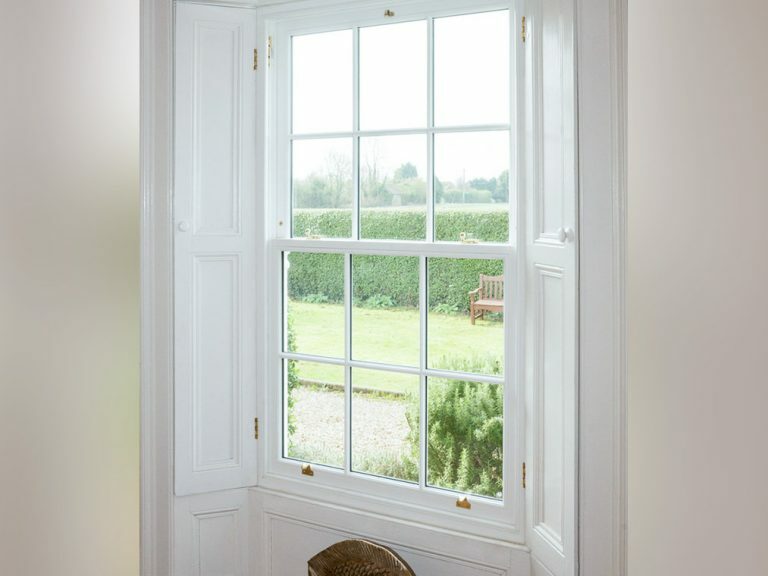 To ensure the shutters on the ground floor at Toad Hall would still be usable with the replacement windows, we worked with Barrowpier on customisation of our Traditional sliding sash window. For the shutters to function we amended the design to have a narrower frame, which meant the incorporation of narrow cavity glazing units. This amended design allows the frame to fit against the original shutters whilst providing modern standards of performance. 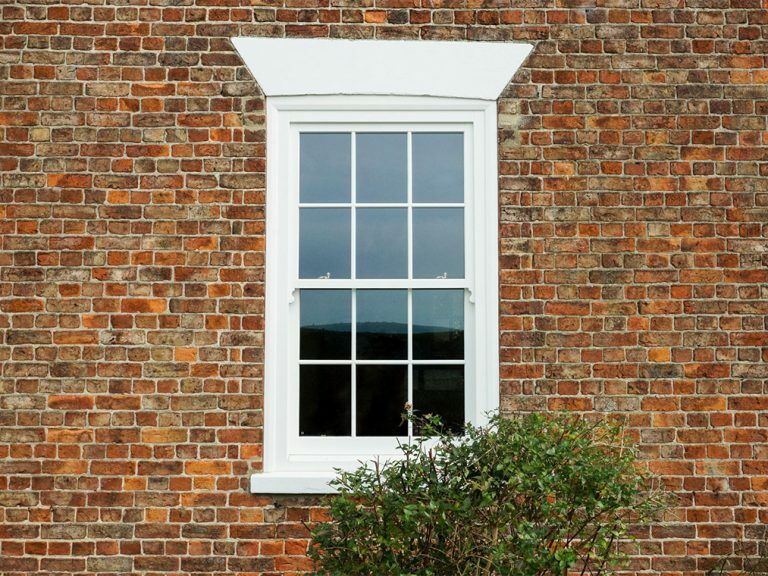 Unlike the sliding sash windows on the ground floor, those on the first level are able to make use of full cavity double glazing whilst replicating the period designs. The inward opening entrance door for Toad Hall has a bespoke fanlight installed above it with detailing to match that found in the original door. Finished in a Pebble Grey paint coating it complements the design of the building and sets off the brilliant white of the windows.